I don't know how many times I have heard people say, "The white government" or "the United States government" decided who was or was not approved for the Dawes Roll. 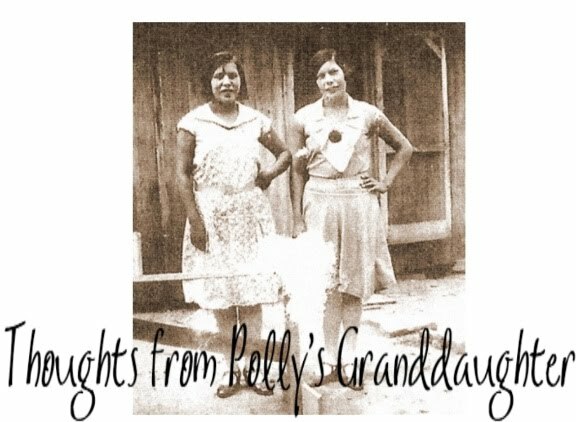 They try to pass that off as their excuse for not having their ancestor listed or approved on the roll. This is simply not true. 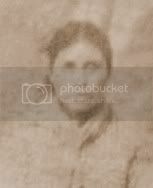 The Cherokees decided who was or was not entitled to citizenship in their nation and therefore, at the time of Dawes, who was or was not entitled to share in the assets of their nation. 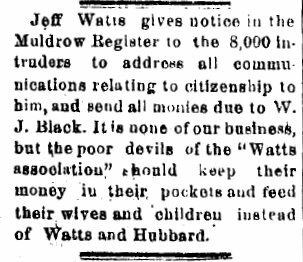 To offer some evidence of this, I thought I would share a clipping from the Cherokee Advocate; Cherokee Nation, Indian Territory; April 25, 1894; p.2. Jeff Watts was the leader of a huge group of intruders who tried to get allotments when they were not entitled to them. It didn't work! :) From the same paper and page, there was also this funny snippet. 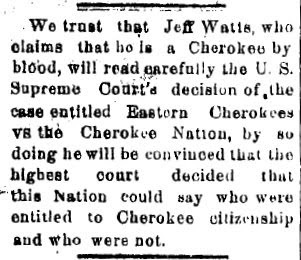 So, I guess all this just goes to prove, not only were the Cherokees able to decide who was or was not entitled to citizenship in their nation, they also had a great sense of humor about it!